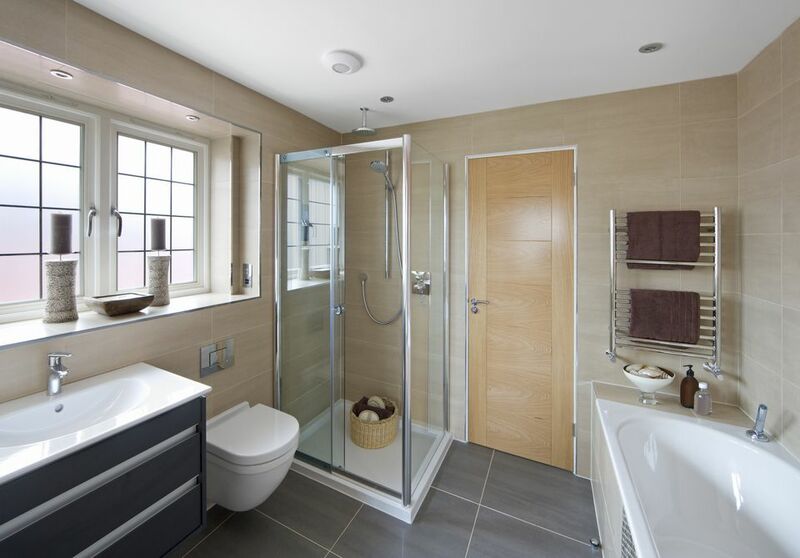 Question: What is a Bypass Shower Door? I am looking for a sliding glass shower door for my bathtub/shower unit. I cannot find this. Help. Answer: Often, consumers have one name for something, and the remodeling/building industry has another name. I have always known these as sliding glass shower doors. The bath industry calls them bypass shower doors, though they alternately call them sliding glass shower doors. Bypass shower doors can be installed either on the bathtub/shower unit or on shower-only units. Relatively easy to install - no special skills needed. Low-cost bypass door units can be found. A more "forgiving" install than swinging door units, especially for DIY remodelers. Can be picked up in-stock at most home improvement stores. Typically offers towel bars on doors. Bottom track collects water and grime, needs frequent cleaning. Sliding/rolling action may become hampered over time. Overlap between glass doors makes cleaning more difficult.